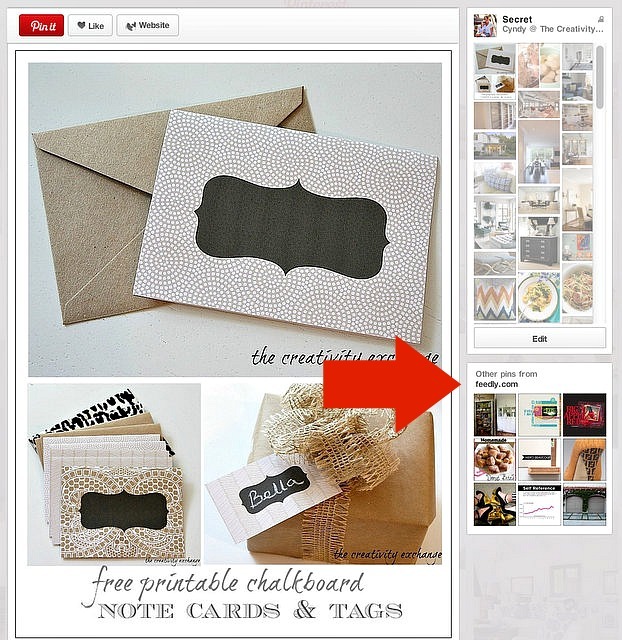 Truncating my Posts (What Every Blogger Should Know About RSS Feeds and Pinterest).. If you keep up with my blog via email or via a blog reader, you have probably noticed that last week, my full posts no longer appeared in these platforms. I know that so many of you prefer to read my blog using these platforms and I absolutely hate having to truncate (shorten) my RSS feed. Unfortunately, I had no choice and I wanted to explain why I made this decision. If you are a blogger with a full RSS feed, you need to know about some of the issues with RSS and Pinterest that you may not realize exist. Recently, I just happened to stumble across a disturbing amount of my blog images on Pinterest that were not linked or attributed to my blog. Instead, these images were linked to various online blog reader websites. Blog reader websites pick up a website RSS feed (posts) and they place it on their website as a way for people to organize and read all of their favorite blogs in one place. I have been ok with the concept up until now. If you use a Pinterest “Bookmarklet” on your tool bar to pin an image from a blog reader site, the image and link to the blog post is credited to that site. Many people (like me) prefer to use the bookmarklet button on our tool bar to pin images from blogs and websites, rather than using a “Pin It” button that may or may not appear on a image. So, when a Pinterest user comes across and clicks on these pins, they are taken to my FULL blog post/feed in that particular blog reader site that it was pinned from. So, the Pinterest user will never click on my blog after coming across my image on Pinterest because my whole post/tutorial is right there in the blog reader! Ugh!! So you see, with this scenario, there is no never a need to click on my blog (if they could ever figure out where the link is to my actually blog ). Oh, and they will probably pin something using the bookmarklet… See the cycle here? More than 65%-70% of my blog readership comes directly from Pinterest and it’s by far the most popular way that new followers find me and subscribe. If people run across my images on Pinterest that are linked to a blog reader site, there is a pretty good chance that they may never click on my blog to actually read it or subscribe to my blog. (In all fairness, a couple blog reader sites have attached the “Pin It” button that does link back to the blogger but still, none of them that I tried (I tried many), link to my blog with when the Pinterest bookmarklet is used). I do want to say that there are a few reader sites like Blog Lovin that only show the first paragraph, one image and then a link to the blog (even if your RSS if set up for full feed). This is an ideal set up for bloggers and I applaud Blog Lovin for setting up their website this way, supporting bloggers and setting it up where their readers have to click the link to read our blogs. With off the chart record levels of subscribers being reported the last few months by blog reader sites, it is clear that this is the trend for many in how they read blogs. I know that these blog readers are a huge convenience for so many of you and hopefully down the line this issue will be addressed but if someone else is getting credited as the original source and linked in Pinterest, you can now see how it hurts the blogger. I am also extremely uncomfortable with some (not all) of these blog reader websites using my content and images as a way to increase their subscribers via Pinterest. Maybe it’s just me.. So with that said, I am truncating (shortening) my RSS feed so that it will only show the first paragraph, the first image and then will have a link to my full post on my blog. I’m sorry that I have to do this. Until all blog reader sites address this issue, it will remain this way for my posts. 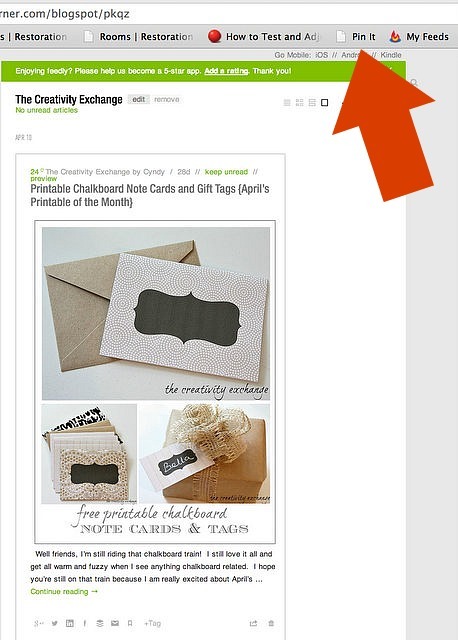 If you use a bookmarklet, you can help bloggers out by pinning from the blog and not the reader. If you are a blogger with a full RSS feed and Pinterest is a significant source of readership for you, I encourage you to look into this further and determine how you feel about it. I don’t know what the answer is for blog reader sites who are interested in attributing all pins to the blogger and how to get this resolved. I think it’s an issue to take up with Pinterest. Totally respect your choice. Although I wanted to point out that there are some people (like myself) who found you on Pinterest and added your site to my blog reader because I love your content and want to see your new posts. Thank you and I’m so glad that you found my blog Tiffany. I so hope that you’ll continue to check in with me. I know that many people love their blog readers sites. It has become a fundamental issue for me now. Thanks so much for your comments! It’s great for you to provide this information. I’m quite willing to click through to the full blog. I want to support my favorite bloggers! Also I’m looking for a good BLOG reader to replace google reader so I will check out the one you mentioned. I am so glad to hear that! Yes, I have been using Blog Lovin for a couple weeks now and its a great way to keep blogs organized, see new posts but you still click the link to read the blog. Thank you again! Thanks for the info Cyndy – why does this blogging stuff have to get so complicated?? Adding this to my list of things to do – thanks for doing the research! I agree Jenny! There is something new every day and it’s hard to keep up. Thanks! Cyndy-if you find a way for your blog readers to bring this to Pinterest attention, I will be glad to support you. Wow! There is one more thing to think about. And I can’t blame you one bit. I am adding this to my mental file of stuff I need to think about with the blog. I use igoogle homepage and have all the blogs I read/follow there. It just shows the title of the blog post and if I have time to read the post it takes me directly to the blog! I love it and it sounds like it’s best for you too. Sounds like Pinterest is the way to fix this one. Perhaps they could prevent pins coming from specific sources and websites, much like they don’t allow you to see certain websites from their page due to spam, inappropriate content, or whatever. Start a petition! I’m sure many other bloggers and readers will sign. I sign petitions daily! Thanks for a blog worth following. I hope everything works out for you. Thank you so much Erica for the kind comments! The software to prevent pinning from sites is available and I see it all of the time on pro photography sites. However, with 60-70% traffic levels and new subscribers coming from Pinterest, I’m not sure we’ll see them rushing to change. These blog reader sites know about this issue because Pinterest (I feel very confident )is their #1 traffic source in their stats. 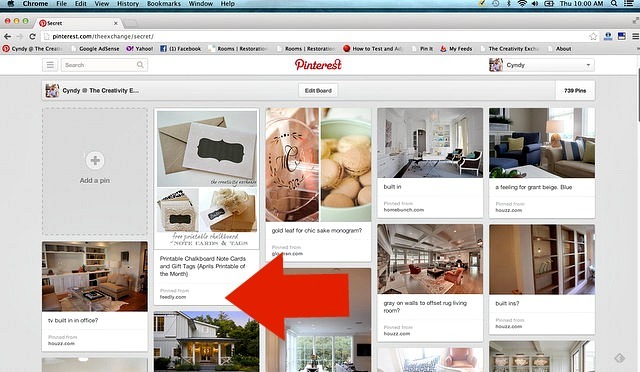 They shouldn’t have traffic from Pinterest if they’re attributing to the blogs or preventing pinning. There are two new start up blog readers that just popped up that have very elaborate blog readers that make it appear that you are on a beautiful website. Some of these readers are better organized than our own blogs and finding the link to the actual blog is very challenging. They are designed to keep readers on their sites instead of clicking over to ours. It’s very disturbing to me and I think we’re going to see more readers pop up. Thanks for the igoogle info! I will go check it out and thank you again for your kind comments! You made my day Erica! WOW – thanks for the information and totally agree with your choice to do this!!!! Glad you are being proactive! Others should not benefit from your hard work. I certainly don’t mind clicking over. I got off of Pinterest very quickly – realized that it was an alluring black hole. I have no idea how I found your blog but I love it and will still continue to follow you no matter how you post! Thank you so much Denise! I am so thrilled to hear that! It means a lot thanks! You are wonderful with your information and explaining how bloggers get cheated out their hard work. I am so grateful you did not quite and continue to move forward and I as others will continue to follow you. I admire your talent and thank you for blogging this has changed my world. It brings a smile to my face when I have an email waiting for me related to things I love. Thank you so much Monica! So thrilled that our blogs bring a smile to your face! You sweet note brought one to mine! Thank you! Can’t thank you enough for sharing this information. I didn’t have any idea and it’s certainly discouraging to hear. Definitely something to consider, not only shortening my feed, but paying attention to pinning from sites in the future to be certain they are receiving direct links back to their blog. Love your site by the way – so helpful. Thank you Julie! I had a big smile when I saw your blog pop up! Adore you and follow you faithfully! So thrilled that you stopped by! Yes,it’s critical for bloggers to look closely at how some of these blog readers are getting creating using our feeds (some more so than others). It really is disturbing but something I think we need to be aware of and decide if we are comfortable with it. I guess it was bound to happen at some point, especially with Pinterest traffic levels like this. It’s unfortunate that a few bad apples are going to ruin it for those sites that do everything they can to promote and support bloggers. Thanks so much again Julie for stopping by! I read your comment on Vintage revivals and clicked over to your post and thought you should know that your post is already outdated. I switched to Feedly as soon as the Google announced the end of GReader. 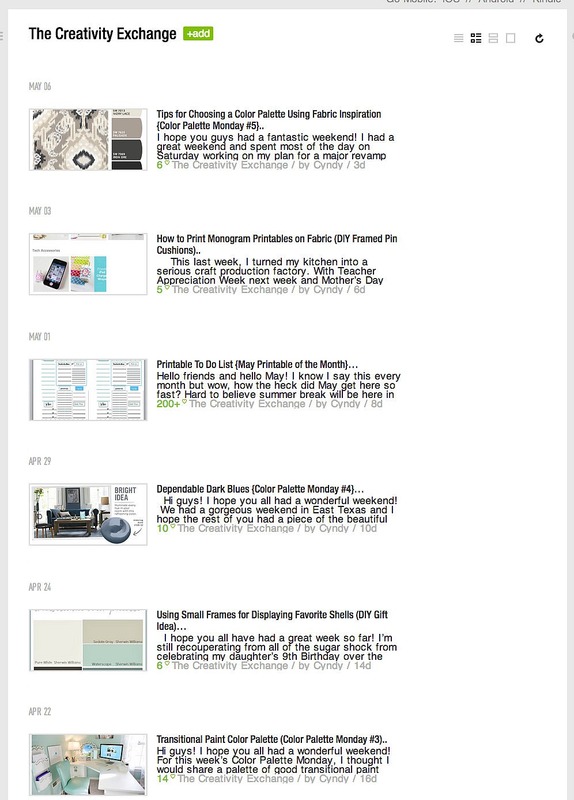 In these last few months, Feedly has made tons of updates all user-driven. I can click on any image, and it pins it with a link directly to the actual blog post. There are a number of blogs that I used to real diligently (I subscribe to nearly 200 blogs and get somewhere between 60-85 new posts in my feedly each day) that I no longer read because they truncated their posts. It is interesting to me that the blogs with the most readership like YoungHouseLove and Beautiful Mess have not worried about truncating posts and still enjoy a loyal following. This trend among bloggers reminds me of all the news sites and podcasts that put a pay wall around their content. With the exception of the NY Times, it hasn’t worked. Users went elsewhere. The sites and podcasts that survived were the ones that anticipated their users wants and found alternative ways to still turn a profit. I fear that by making this choice you will actually reduce your traffic. I was so hopeful after reading your post that maybe some updates have been made but unfortunately, I just pinned my first image of my post in Feedly using the Pinterest bookmarklet on my toolbar and it linked and credited Feedly and not me. I checked the other blog reader sites as well and there has been no change from my post. Wow, sounds like you’re really passionate about bloggers who truncate their posts. I am equally as passionate about bloggers being credited and linked to their project and I am so not comfortable with blog reader sites using my content on Pinterest as a way to force people to subscribe to their website before being allowed to see my projects. It’s fundamental and I am fine if I lose or readership because I’m protecting myself and my hard work. As you can see by the comments here, I don’t think my readers mind one bit. (By the way, I truncated my posts a month ago and my traffic increased more than 30% almost overnight). Thanks for stopping by Kelly. You should just get rid of your RSS feed then. The point of RSS feeds is that they are read through feed readers. If are not OK with this, then don’t have a feed. Truncated blogs just piss people off. 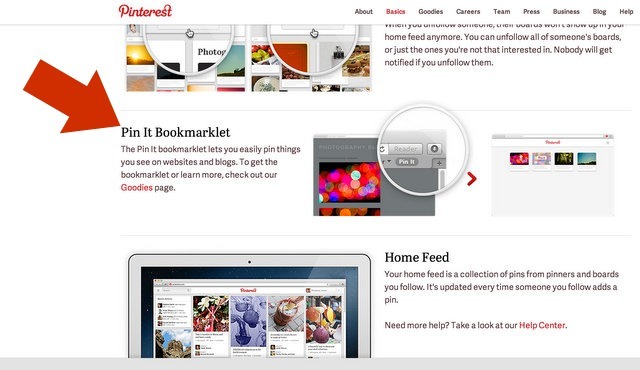 Also, clicking on a Feedly link in Pinterest forwards right to the original blog. I don’t care if it pisses anyone off to have to make one little click to read my content. It’s not hurt me. In fact my readership more than doubled 6 months after I truncated (this is an old post)! Now Feedly and Bloglovin are my #4 and #5 daily traffic sources. Ironically, a big percentage of that daily traffic I can track all the way back to Pinterest pins that went through the blog reader site!! Just think how much traffic and readership I missed the years before I truncated! The point of the RSS feed is to notify readers/email subscribers that there is a new post- whether you have to click a link to read or not is irrelevant. If you use the bookmarklet on the tool bar to pin (not the pin it button), the link is attributed to the blog reader website. Until blog reader sites fix this problem (which they won’t because Pinterest is their #1 traffic source by far), I will be truncated. It’s not about the click, it’s about the fact that it’s rare that the original page reads well on my phone, where I do most of my reading. Usually I have to pan and zoom etc while reading. If every blog made sure it formatted perfectly for phones, the way RSS reader apps do, this would be no problem. I can so appreciate that because I too read blogs on my phone. Of course, my site is optimized for mobile. However, this is truly a fundamental issue of bloggers simply getting attributed on Pinterest for their work. Last week, I had more than 1500 page views in just one day that came from one single pin that was linked to a reader instead of my blog. Thank goodness my feed is truncated and they had no choice but to come to my site because many of those people repined my other projects and followed my blog while they were here. Otherwise, those people would have just read the post and my other posts in the reader and never coming to my site. Of course, page views and readership is obviously how bloggers grow and it’s simply not ok that blog reader sites get the link, credit, page views and readership off of a bloggers hard work. If the reader sites would fix the pin bookmarklet issue, many bloggers like myself would probably go back to the full feed!